I am a sugar addict! Seriously. Give me chocolate and I will love you forever. I really don’t care for chips, or breads or cheeses…but get me around brownies, cookies, chocolate…and I have a hard time containing myself. I seem to have it under control right now, and thankfully I have learned enough to reel it in when I need to. I thought I would share some information that I found to help you understand WHY and HOW you should reduce your daily sugar intake. So, the USDA tells us our LIMIT and the AHA tells us the amount they recommend for optimal health. Make sense? Using 40 grams as the Daily Value for added sugars might reveal how much sugar per day is ideal for our body. For example, a cup of regular ice cream contains 60 percent of the proposed Daily Value for sugar, a typical cup of fruit-flavored yogurt contains 70 percent, and a 12-ounce soft drink or quarter-cup of pancake syrup contains 100 percent. High sugar diets, or high glycemic index diets, can cause obesity and a host of other diseases and ailments. If you eat a high glycemic food it triggers a rapid rise in blood sugar levels, the pancreas is over-stimulated and releases large amount of insulin. Result? This large quantity of insulin rapidly hooks on to the excess sugar in our bloodstream, causing our blood sugar levels to dip quickly below normal, which makes us feel hungry once more. The never ending cycle. See the problem here? **Want some good documentaries to watch with the whole family? They will REALLY open your eyes to the problems we have as a sugar addicted society. We have watched these during some of our family movie nights and wow. 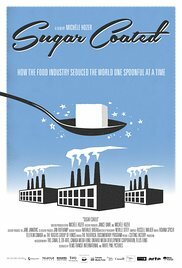 You can find both Sugar Coated and Fed Up on Netflix. Why is the amount of a daily sugar intake important?Sufficient daily sugar intake will ensure that our body functions properly. However, if you are like most people, you are most probably having more than what you should each day. High sugar intake will therefore lead to consequences like low energy and weight gain. In addition, high daily sugar intake will also increase your risk of heart disease by damaging your blood vessels and increasing the level of your cholesterol. Moreover, it may even chip away at your memory and cause an increase in the risk of certain cancers. How to decrease your sugar intake to a healthy level? Cold Turkey. You could go cold turkey. Some people can, and don’t mind the withdrawal symptoms. I prefer to go cold turkey, since I know as soon as I add chocolate back in- it’s hard to stop. When going cold turkey, expect to feel ill for the first few days, headaches, mood changes, nausea. Cut Back slowly. Can’t go cold turkey? Instead, if you normally have two candy bars a day, cut to one a day. Then next week, one every other day. The following week, one every three days, until you’re down to just one a week. If you normally take 2 teaspoons of sugar in your coffee, use the same routine, cutting down to 1 1/2 teaspoons for a week, then 1, then 1/2. Eventually, get to the point where you’re drinking your coffee black. The more sugar you eat, the more you’ll crave. Grant yourself a daily sugar “quota,” and use it on foods where it matters most. For most of us, that means desserts. I used to buy special dark, expensive chocolates and would allow myself one per day. I looked forward to my little treat. Don’t waste it on dressings, spreads, breakfast cereals, and soda. Instead of drinking sugary-sweet drinks like lemonade, make your own “sun tea.” Steep decaffeinated tea bags in water and set the pitcher in the sun for a couple of hours. Add lemon, lots of ice and enjoy the natural flavor of the tea. Remember these words used for sugar found on ingredient lists. Look for hidden sources of sugar. Cough syrups, chewing gum, mints, tomato sauce, baked beans, and lunch meats often contain sugar. Even some prescription medications contain sugar. For a week, be particularly vigilant and scan every possible food label. You likely won’t forget what you’ll find. Choose the right breakfast cereal. Many of them are loaded with sugar. You want one with less than 8 grams sugar per serving or, preferably, unsweetened altogether (steel-cut oatmeal). Use diced fruit to sweeten your cereal. Stevia is a natural alternative if you really need to sweeten. Shakeology is amazing for curbing those sugar cravings! One of my vices for sugar cravings is Shakeology. I tend to crave sweetness in the evenings so lately I have been saving my shakes for the evening when I need something sweet! It has been doing wonders for me. I mix it with water or almond milk, ice, some peanut butter and a scoop of chocolate Shakeology! Plus its’ low glycemic index and doesn’t cause a spike in your blood sugar! It curbs my sugar cravings for sure! Love it!! You should give it a try if you struggle with cravings! 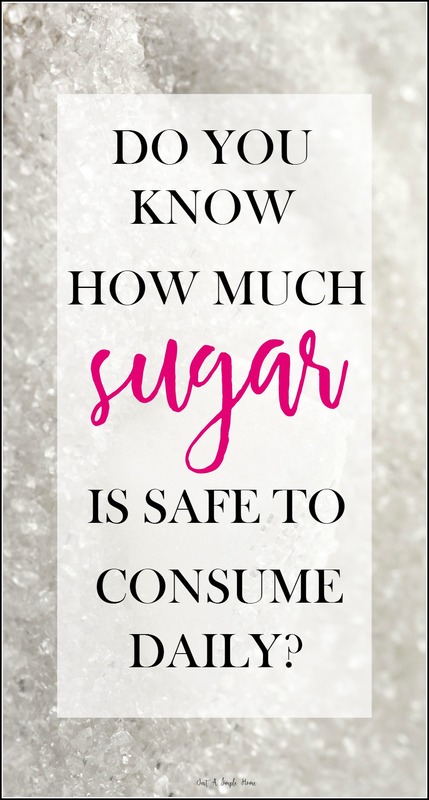 Usually I am totally the opposite – I can go without “sweets” but am weak in the knees for all things salty!…though since I have been pregnant this has been the opposite, I can’t get enough sugar! This is a really great resource!…and quite sobering! Thanks for sharing! That’s funny, I crave chocolate normally…but when pregnant, I don’t want it! It’s the only time, lol. Then I want olives and butter. I’m glad you found it helpful! We started the Whole 30 diet in January and realized for the first time just how much sugar our family was consuming. It’s amazing how many things have sugar in them! It is so eye opening, isn’t it? Good for you for the a Whole30…that is really blessing your family, I’m sure. You can totally do it, Teena! It just takes putting your mind to it! Watch those documentaries, I bet it won’t be so tough after that. Another trick I use at night is LaCriox sparkling water. It sounds silly, but I think it tricks my mind into thinking I’m having a treat. This is so interesting! I have been like the sugar police for my toddler, as I want to her to eat healthily and develop good habits. I do get teased by my mom friends that she prefers carrots over cupcakes, but that is okay! I was really surprised by the ripe bananas on the list! That is one of our go to snacks! I am going to switch things up after reading this! I know, it can be so hard! I have gone through seasons where I am more lax with my children, but it isn’t worth it! It gets even harder when the kids get older and they have all the peer pressure and the media telling them how good it is. It drives me nuts. Thanks for this informative and interesting post, Terryn! Did you prefer one of the 2 documentaries that you shared? Oh gosh, they were both good! Sugar Coated was probably more “political” if that helps. It makes you mad. They both had children in them, which was helpful to us watching them with our children. Maybe start with Sugar Coated, if I had to pick one. But both are good! I hate that sugar is hidden in so many things! I’ve used up a week or two worth of sugar intake so far this morning! I’m totally an addict…and it shows. This was eye opening! Thank you! You are very welcome, Ayana! We all struggle with it, that’s why I wanted to share. I have been trying to cut back on my sugar intake. This is going to be very helpful. This is actually awesome. I’ve had a hard time finding this info as it doesn’t state it in the nutrition information label. Thanks! Lol, I’m glad you found it helpful, Susan! Good article! Only thing is peanut butter is high in sugar and I am pretty sure shakeology has some sugar as well?? Hey Sally! Thanks so much for stopping by. I am not sure what peanut butter you buy, but the kind I buy literally has only peanuts in it. I occasionally buy one that has peanuts and salt, but that’s it. Many peanut butters do contain sugar, you are right…but it is possible to find it without. Shakeology does not have any sugar in it either, a very small amount of stevia only. Hope that helps! I didnt know that about shakeology😊 I buy both kinds of Pb, hehe, I like the healthier ones but my hubby won’t touch them. This sugar thing is my biggest struggle. I can do wo the carbs. I am working on this too and I find it is the hardest thing!! I will have to try the shakeology! Do you know what the other ingredients are? Sal, I am very familiar, yes 🙂 I’m going to send you an email with the ingredients, ok? Great post! I watched Fed Up recently and it was just shocking! I know, wasn’t it? You should watch Sugar Coated. This is so eye opening! Great tips on cutting back! Very interesting, I’m a sugar addict too but my husband has helped me cut down! This is such a well written piece with tons of helpful information. I actually partially credit my first successful pregnancy (I have PCOS with insulin resistance) to following the 20g or less rule. I haven’t been as good about it lately but I feel so much better when I’m careful with sugar intake- and I crave it much less. Funny that you posted this today. I spent a 3 hour car ride yesterday trying to convince myself I need a sugar detox! Now I really think I need to consider it. Thanks for the post! You are so welcome! It took 3 hours, huh? 🙂 I may run a sugar detox challenge soon, it seems like it’s needed. Sugar is the biggest culprit in our diets 🙁 It’s so awful. There should be a war on sugar, not fat! I completely agree with you! People are trying! We have been tricked into thinking fat is the enemy and it has done more damage that ever. Oh man, die off symptoms are no joke! When I cut out sugar, dairy, and bread from my diet last year, I did it cold turkey and felt like I had the flu!! (Which I read to expect.) It just shows how many toxins are released once we let our bodies purge out all that stuff. I’m such a stickler when it comes to my son but I need to kick myself back into gear again –I made way too many exceptions for myself this winter…My skin shows it and I definitely feel like I’ve been getting brain fog. 🙁 Thanks for such a great post! Oh, you are so welcome! It is crazy how we can experience those type of side effects, isn’t it? Scary. I am starting to think of running a kick the sugar type challenge…there’s so many people in the same boat! I love sugary foods. However, been cutting my wheat intake and I can see tremendous changes with my weight. Great tips indeed.